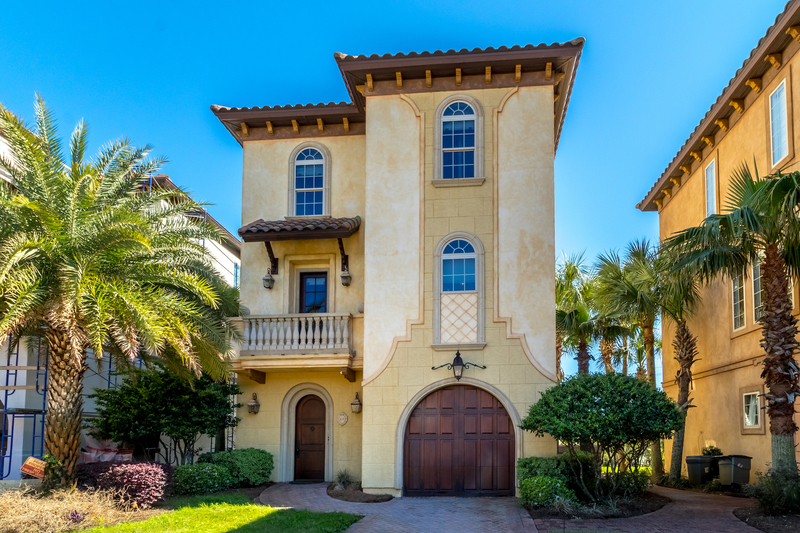 Dramatic water views and refined interior appointments combine to conceive a notable lakefront retreat in one of Destin’s most distinctive gated communities, Saint Tropez. 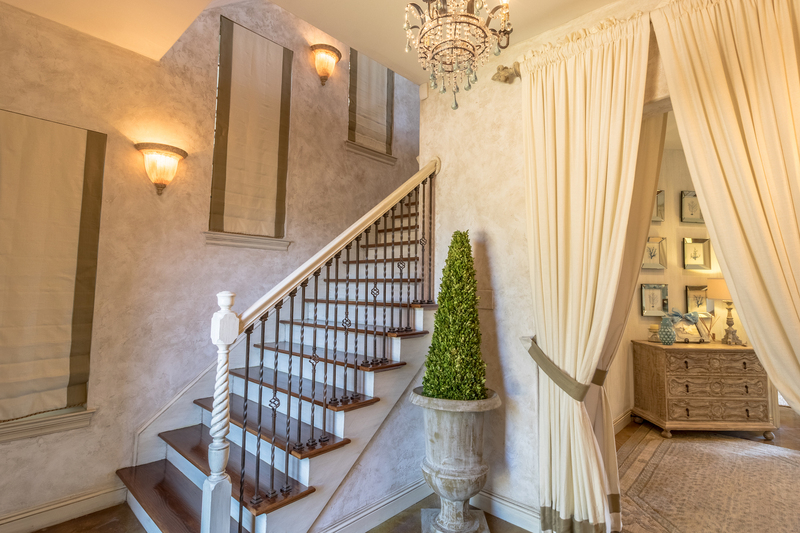 Professionally designed by Bella Beach Home, 22 Rue St Tropez draws inspiration from the romance of French Neoclassical style and the grandeur of antebellum New Orleans. 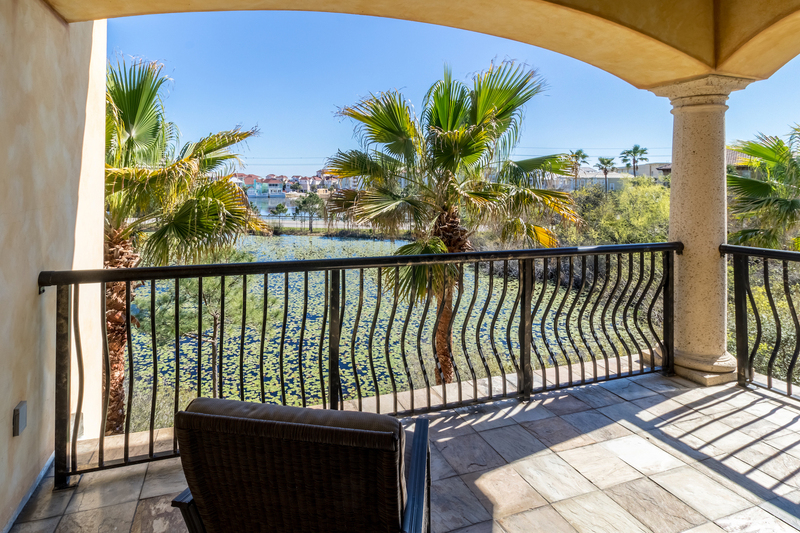 Arched balconies with see-through wrought iron railings perfectly frame vistas of the lake. 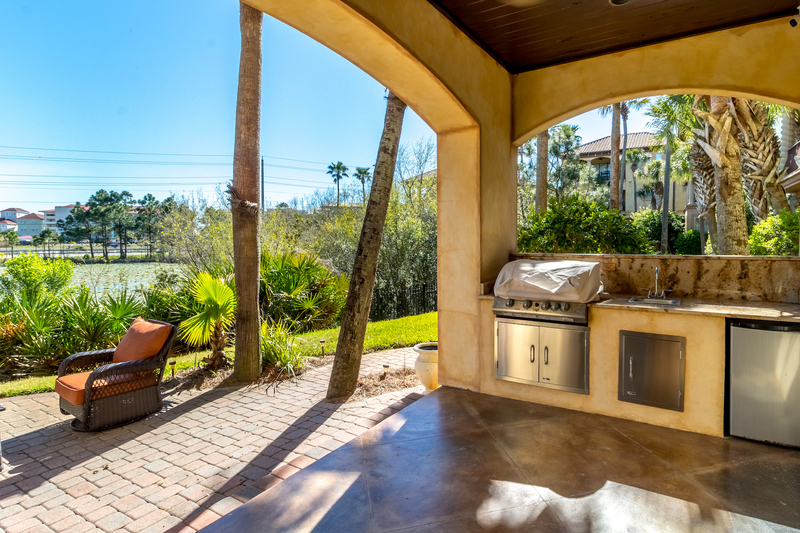 A covered, lakefront lanai with a well-equipped summer kitchen that features a sink, gas grill, and beverage center is a central gathering spot. 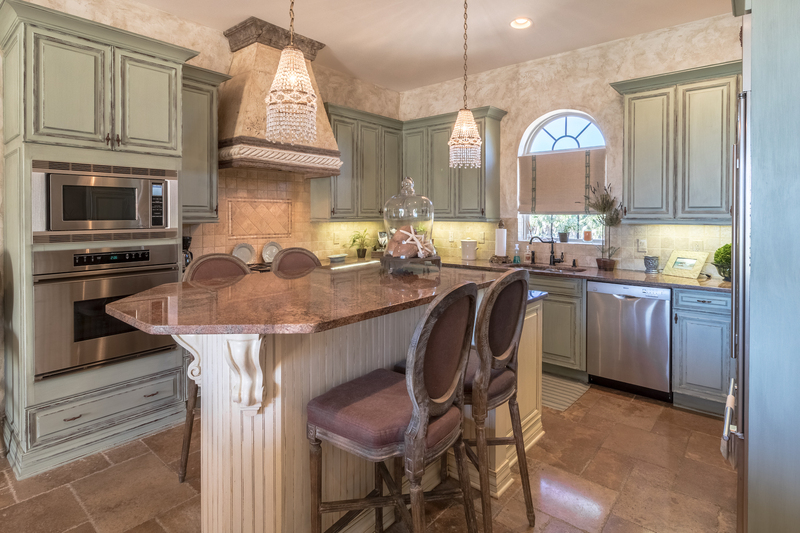 The epicurean kitchen is given a historical, upmarket look with antiqued cabinets, copper granite countertops, glamorous pendant lighting, and cast stone range hood. Luxury appliances include a Sub Zero refrigerator and Dacor gas stove. 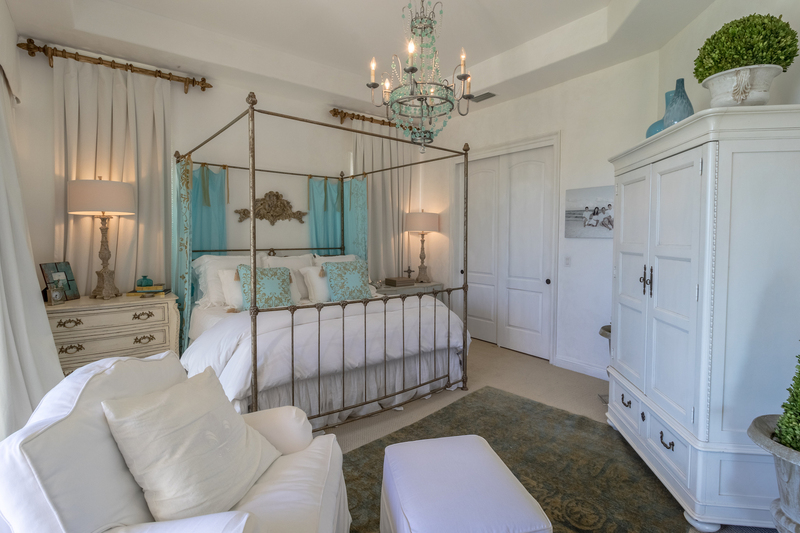 The master suite enjoys a private balcony with corridor beach views and an impressive en-suite. 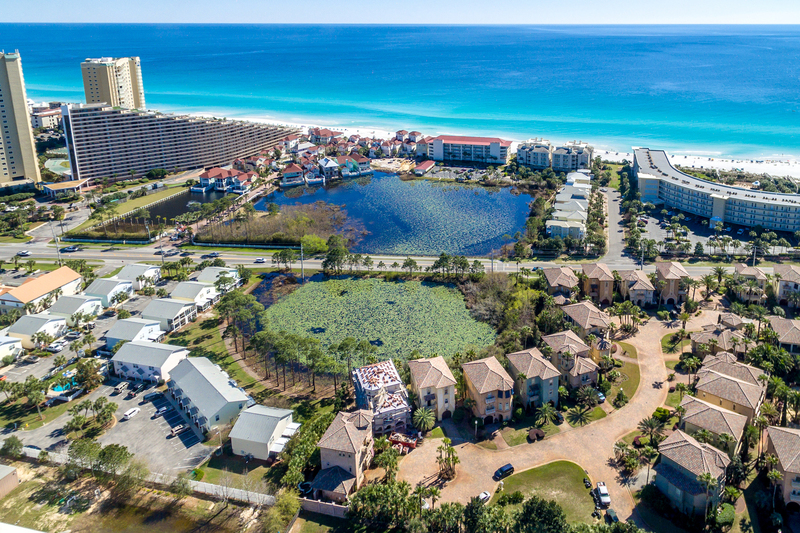 Saint Tropez is a coveted gated community in Miramar Beach, FL. 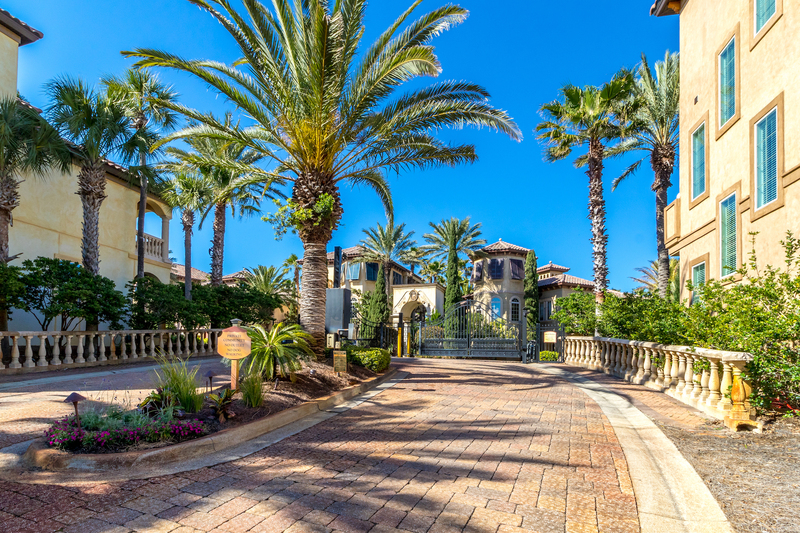 Cobblestone streets and lush, tropical landscaping distinguish this community with only 28 homes, a luxurious community pool, and deeded beach access. Exclusively listed by Cindy Cole, this 3-bedroom home is offered at $799,000. Annual vacation rental income is projected at $74,000.